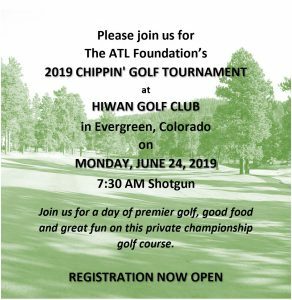 Join us for the 2019 Chippin’ Tournament in support of The ATL Foundation at the beautiful Hiwan Golf Club in Evergreen, Colorado! We encourage you to look at our sponsorship packages. There are opportunities for every budget and good intention!